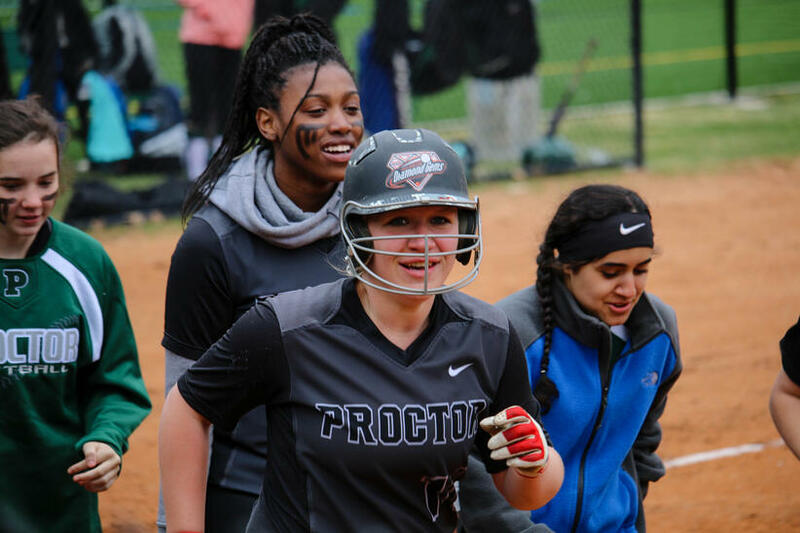 Coming off an impressive run to the an extra-inning defeat in the Lakes Region Championship last season, the Proctor Academy varsity softball team is back and ready to contend for another run deep into May. 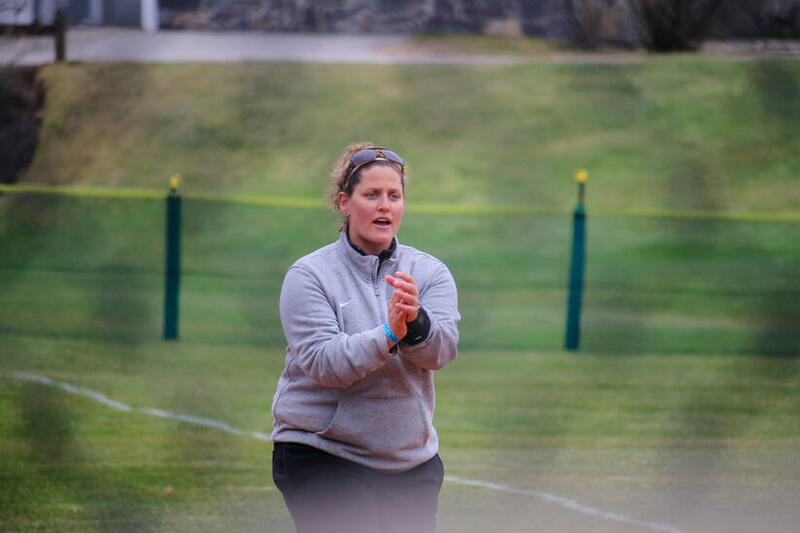 With a young roster and a new coach coming back to coach her alma mater, the Hornets have feared in the Lakes Region League due to their outstanding pitching, solid hitting, and great chemistry. 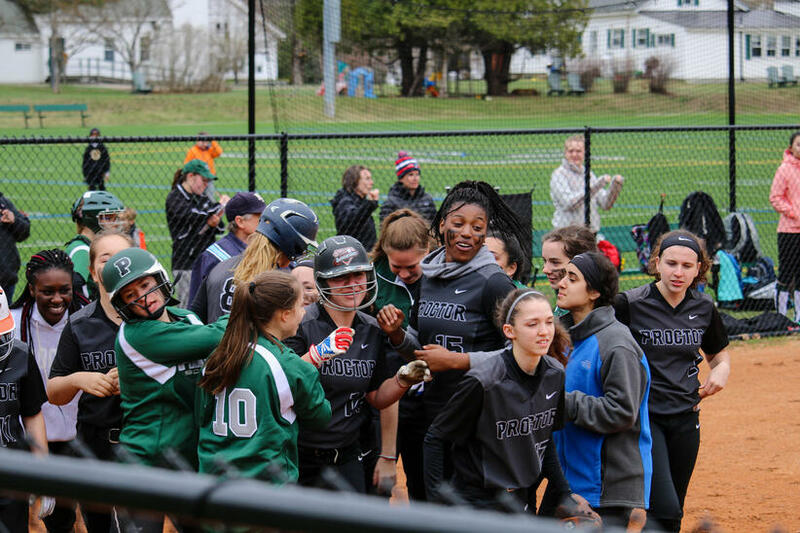 After another dominating 15-0 win over Kimball Union Academy on Wednesday, the team sits at 7-1 and poised for a Lakes Region title run. Due to the fact that there are only three seniors on the team, the role of underclassmen is essential to the team’s success. 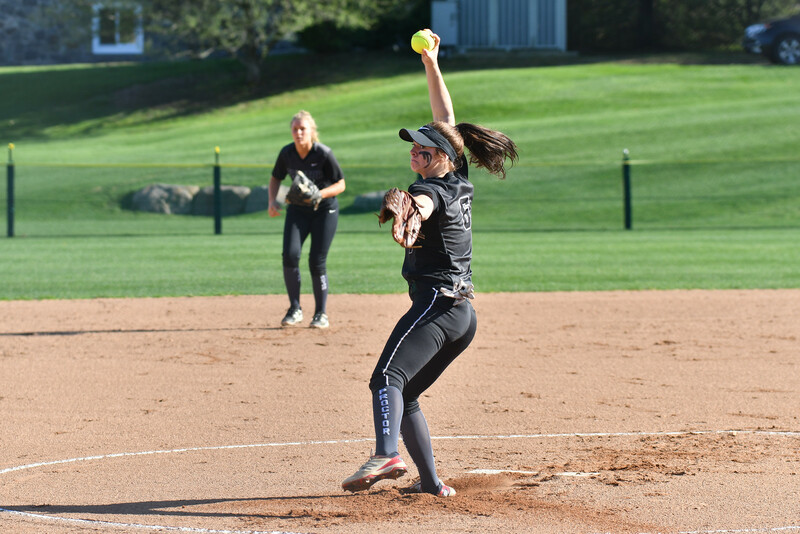 Perhaps the most crucial underclassmen to the team this year has been Hannah French ‘19 due to her outstanding pitching. Parker reflects on French, “Our greatest strength has to be our pitching. 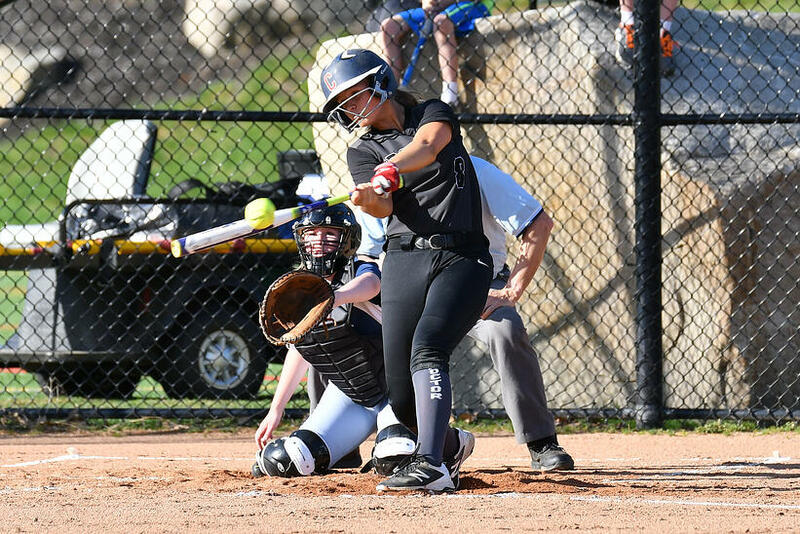 Hannah has been playing insane with a few one hitters and a no hitter!” Teams clearly fear her as they step off the bus and see her warming up on the field as she has recorded 91 strikeouts through the first seven games of the season, while only letting up a staggering 9 hits through those seven games. Every team has its strengths and weaknesses, and the great teams are the ones who recognize the weaknesses and work to make them strengths. Wheeler concludes, “Strength comes when we play well together and support one another. Challenges arise when we fail to see our potential both as individual players and as a team. 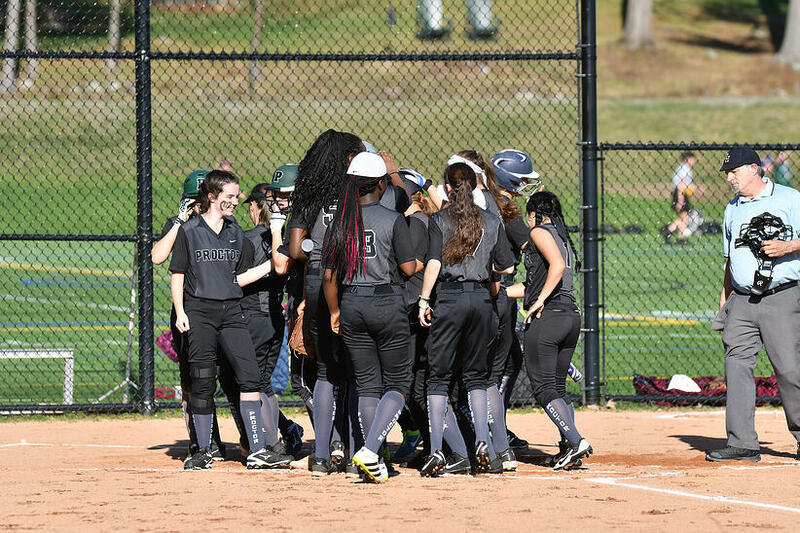 I have very high hopes for this years team and believe, if we set our minds to it, we can be the best team in the Lakes Region!” The Hornets hope to stay hot against rival Tilton School on Saturday, May 6 at 3:30 pm. We hope to see you on Farrell Field supporting them!